No longer a completely vapid character anymore, Barbie is making a comeback, thanks in part to this awesome Instagram that recreates iconic 2015 moments with Barbie. In each image, Barbie is dressed up and recreating an instantly recognizable pop culture moment from 2015. The moments reenacted by Barbie require no introduction, and even if you don't think about them regularly, you'll definitely go "Oooooohhhh! I remember that!" when you see them. It's a great retrospective of a generally weird and wonderful year in pop culture. Moments range from Caitlyn Jenner's introduction to the world to Amy Schumer's red carpet antics with Kim Kardashian and Kayne West to recreating Adele's "Hello" comeback. When Demi Lovato was asked what her favorite dish was she amazingly and earnestly, but jokingly, said it was a mug. Heidi Klum is the queen of Halloween, and her iconic Halloween party this year was no exception to her jaw-dropping, amazing array of costumes. Dressing up as Jessica Rabbit, Klum was totally transformed. No matter what else happened in 2015, it's likely always to be remembered as Adele's come back year. 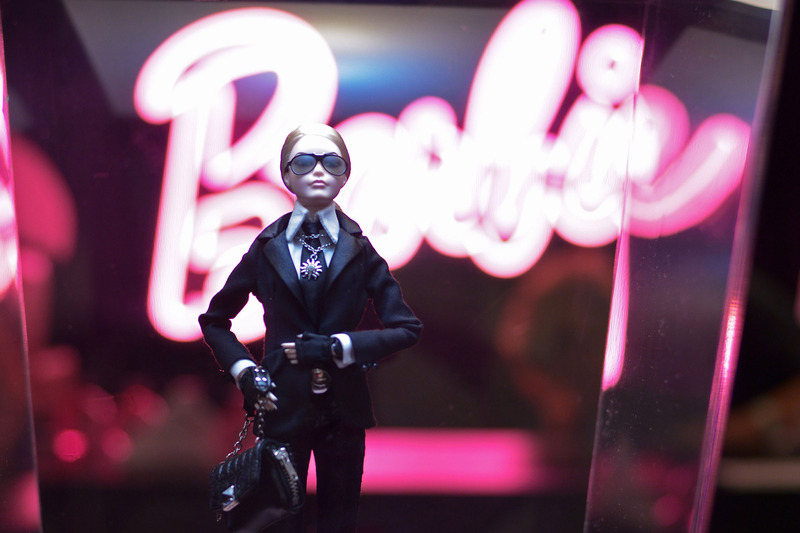 Her release of "Hello" was a record-smashing breakthrough, and has been commemorated by Barbie in kind. Remember when everyone got irrationally upset about Ariana Grande licking a bunch of donuts? I mean, it was gross as hell, and definitely the behavior of a spoiled individual, but also, who cares? When Bruce Jenner transitioned to Caitlyn Jenner, she revealed her fabulous self to the world in a beautiful and elegant Vanity Fair shoot. Barbie carries it off quite well too, don't you think? "What's good?" will forever be part of the cultural consciousness as the ultimate hater-comeback. When Nicki Minaj went for Miley Cyrus' jugular on stage at the VMAs, the Internet nearly broke.